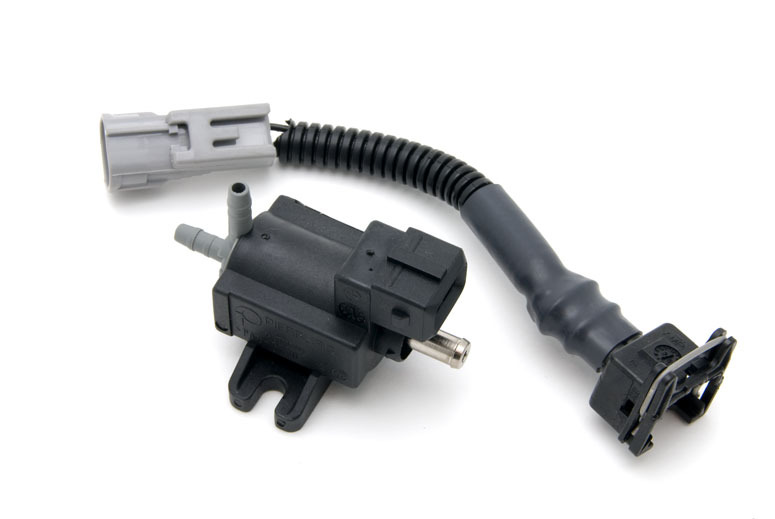 This Tactrix 3-Port Boost Control Solenoid uses the same high quality German solenoid previously sold by Prodrive. When tuning with aftermarket engine management, this will allow you to take control, and raise the factory boost level. The factory boost control solenoid is not capable of handling high boost pressures, and will become uncontrollable at higher pressure. This is controlled by any aftermarket engine management that allows you to set wastegate duty cycle. Comes with harness for plug and play install with Mitsubishi or Subaru. Please note that while mechanically and electrically speaking this solenoid is plug-and-play, it absolutely requires map changes in your engine management to operate safely and control your boost levels.